How do I contact the board members? How do I make my annual Dues payment? There is a locked and secure mailbox at the front of the pool area driveway. Insert your payment. How do I start a neighborhood activity? How exciting. We are always looking for new ideas for our community. Please contact one of the board members thru the "contact us" form. How do I volunteer to help in the neighborhood? We are always looking for volunteers to help our neighborhood throughout the year. Please contact one of the board members with your ideas. Please use the "contact us" form for your ideas. Is there a waiting list for requests for rental? 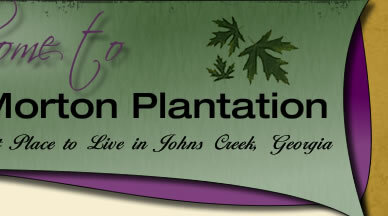 What is the address for the Morton Plantation Homeowners Association? What is the number for garbage company that the neighborhood uses? What is the phone number for the association? Our toll free number is 855-861-1055. When do I need a permit for my Property Modifications? The MPHOA ARC (Architectural Review Committee) will need to ensure that you have the proper permits submitted with your modification request. Proof of the permits must be submitted to us along with your Property Modification form. The following link provides information on when a permit is required by the city of Johns Creek.